Nowadays, it’s difficult to say what film is a reboot, remake or sequel/prequel. Many often fall into multiple categories somehow, which makes it all the more confusing. Moviegoers should be well-versed in making these strange decisions, considering that the 2016 summer is packed with them. 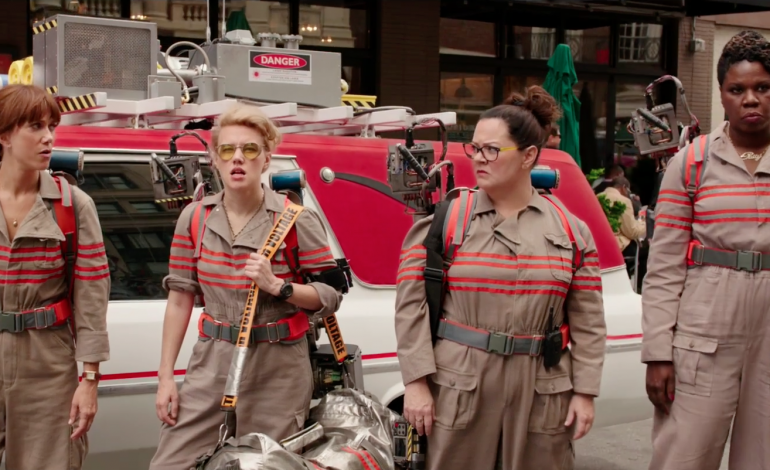 And Paul Feig’s female reboot of Ghostbusters definitely falls into that conversation. It has garnered an insane amount of controversy over its choice of recasting the four male leads of the original film, the visible changes in its visual style, and so much more. Over the last few months, fans (and cynics) have been wondering what how the film will fair once critics get the first look. And not surprisingly, the early reviews range from giving it high praise to harsh criticism. Because mass audiences haven’t seen it yet, who knows what the eventual outcome will be. Nevertheless, some of these first opinions do deserve some consideration. If you feel like getting a little teaser before the reboot hits this weekend, then see the reviews below. [Ghostbusters] boasts exuberantly funny performances from its key quartet — Melissa McCarthy, Kristen Wiig, Kate McKinnon and Leslie Jones — and a satisfying blend of wackiness, camaraderie and paranormal pizzazz. One could even argue that “Bridesmaids”/”Spy” director-co-writer Paul Feig‘s curatorial sideline paying homage to the 1984 action-comedy juggernaut (via story beats, design elements, and many cameo pop-ups) almost becomes an unnecessary distraction. All reboots are haunted by the specter of the movie that inspired them, but Sony’s new gender-swapped “Ghostbusters”… suffers from a disappointingly strong case of déjà vu. 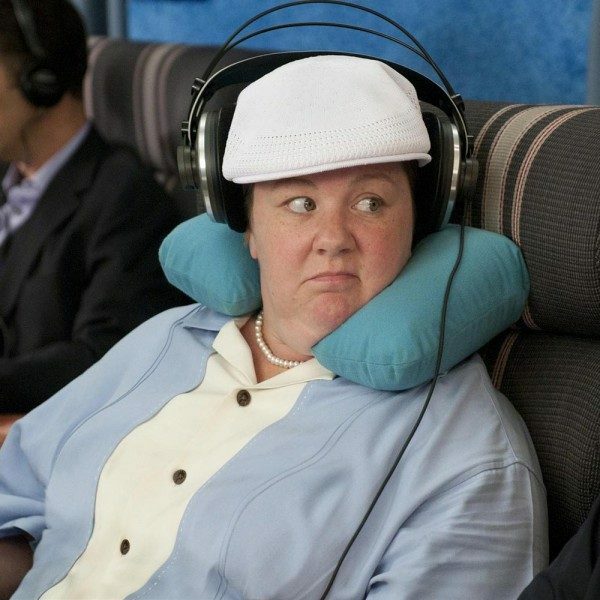 While both funnier and scarier than Ivan Reitman’s 1984 original, this otherwise over-familiar remake from “Bridesmaids” director Paul Feig doesn’t do nearly enough to innovate on what has come before, even going so far as to conjure most of the earlier film’s cast… in cameos that undercut the new film’s chemistry. [Ghostbusters] comes saddled with the trappings of 21st century studio filmmaking: lulls in pacing, kiddie-safe comedy, choppy editing, and the general sense that a sharper, ballsier version exists in an alternate Hollywood universe. 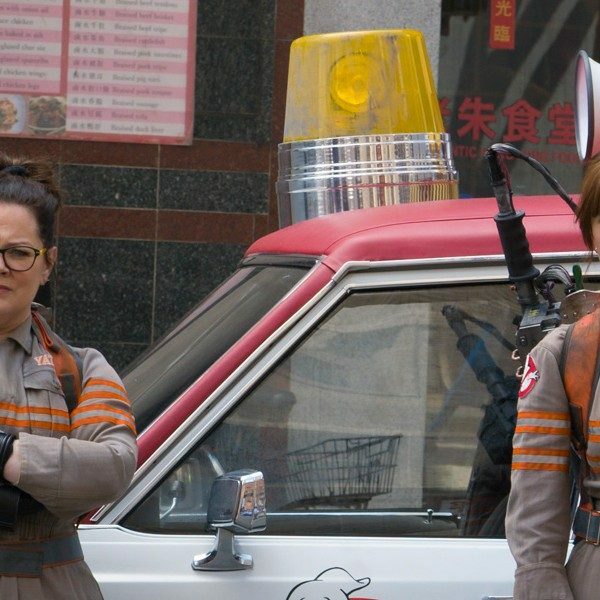 Nevertheless, with a crackling sense of purpose and a surplus of reverence for their predecessors, new Ghostbusters Kristen Wiig, Melissa McCarthy, and Saturday Night Live standouts Kate McKinnon and Leslie Jones plant their own flag on a beloved sci-fi comedy franchise – even if it’ll still take a miracle from beyond to convert the hypercritical haters. [Although] the new Ghostbusters follows the template of the original by Dan Aykroyd and Harold Ramis, the witless script by Feig and his co-writer on The Heat, Katie Dippold, has no juice. Short on both humor and tension, the spook encounters are rote collisions with vaporous CG specters that escalate into an uninvolving supernatural cataclysm unleashed upon New York’s Times Square. It’s all busy-ness, noise and chaos, with zero thrills and very little sustainable comic buoyancy. For better or worse, the Ghostbusters reboot is a great showcase for how intense fans can get over their prized treasure getting reinvented. It is comforting to see some of these first reviews giving the reboot praise, although it doesn’t mean the film is home safe. In the end, it may be remembered more for its controversy than the film itself, but let’s just wait and see. Ghostbusters opens on July 15.